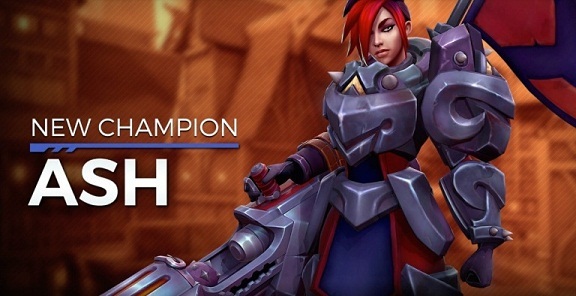 Paladins continues to pursue its goal, bringing new champions to the game at high speed. With the new patch OB 51, we can welcome another lady at the front in addition to Inara. Ash is the new tank and is titled War Machine. More and more special skins make it to paladins: This time, Pip and Barrik get a new look. For the first time there will be a skin for your horse, which you can buy directly. This was previously available only through special chests or events. In OB 51, the Colossal Chest is removed from the game and replaced by two new Chests: The Weapon Chest and the Champion Skin Chest. There are a few adjustments to the interface and some champions have also been reworked. Ash is Paladin's new tank and she is called the War Machine. She smashes everything with her anti-gun. With the Burst cannon, Ash fires a shrapnel round, which explode at a medium distance and cause damage to the area. It can trigger a kinetic explosion with the shrapnel round, the opponents thrown back. Ash is ready to show full body use. When she has to, she forward against her opponents and rams them back with her shoulders. On impact, Ash directs damage. When Ash slams her flag into the ground, she uses her ultimate skill Assert Dominance. Around the flag Ash creates a zone in which she cannot take any damage. Enemies suffer damage when the flag bounces on the ground. Ash is ideal to take control points and disrupt opponents. There are new cosmetic items for Pip and Barrik, which you can get from the shop. 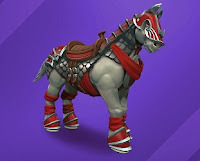 There is also a new skin for your horse. Pip goes into the change of fur and gets a sweet ring tail. The skin is available as a direct purchase for 200 crystals in the shop. Skin and head belong to the skin. Barrik becomes complete to stone and gets an icy look. The skin is available as a direct purchase in the shop for 250 crystals. The skin includes head, trunk and weapon. For the first time, there is a skin for the horse that you can get as a direct purchase in the shop. The horse outfits cost you 400 crystals. Players will receive rewards in the future for the achievement of skill levels. The rewards are obtained by reaching a certain level and they consist of skins, sprays, gold, chests and emotes. 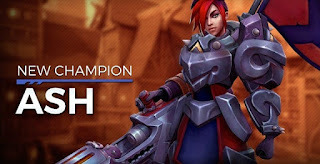 In Paladins, players can earn championships for champions when they are on the road with the character. The Colossal Chest gave players particularly valuable cosmetic items. In Paladins, you can combine skin parts wildly and give your character an individual look. From the colossal chest you could pull the individual skin parts. It could take ages for players to get a complete skin set. This changes to OB 51. The Colossal Chest is removed from the game. The champion skin chest and arm rest come in for this. In the Champion Skin chest you get now complete skin sets. The weapon skins contain only weapon skins. - Some champions got adjustments. So the last champion, the fairy Willo, got a buffoon and is now somewhat more robust. - A few bugs have been fixed, including an annoying audio bug. - The interface has been optimized and "Auto-Buy" can now be switched off directly in the item shop during a match.